Easy Ice Pack. Such A Cool Idea! 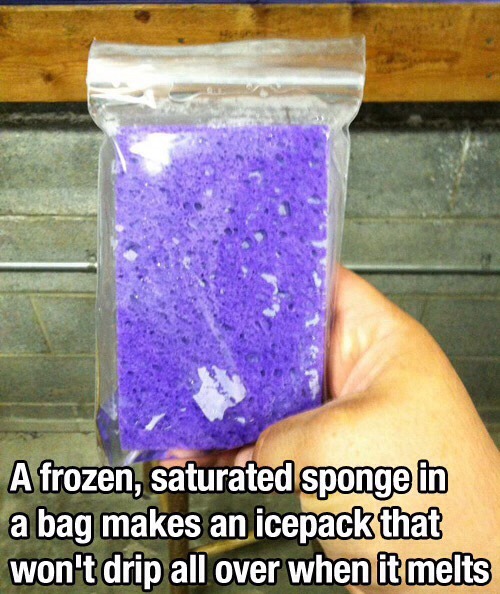 Take a clean wet sponge and place in a plastic bag. Then just toss in the freezer. Won't make a mess when it melts! !